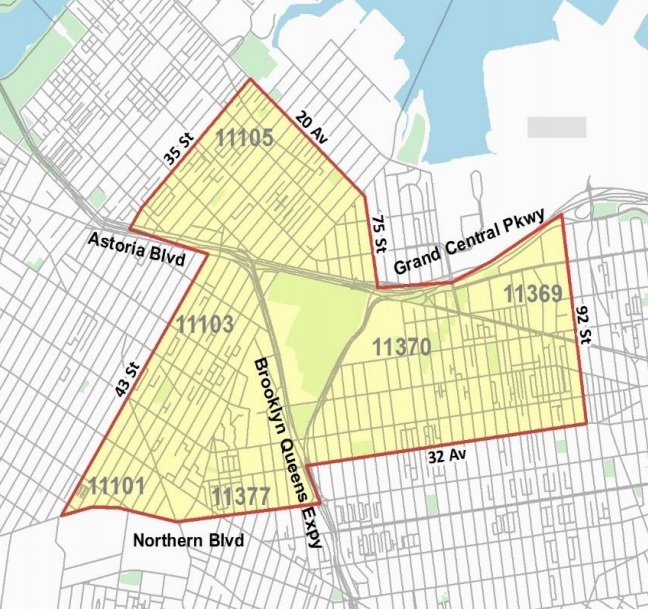 Pesticides will be sprayed over several western Queens neighborhoods Tuesday as part of a mosquito control initiative, according to the Department of Health (DOH). Tomorrow night, July 31, trucks will drive and spray sections of Astoria, Ditmars, East Elmhurst, Jackson Heights, Steinway and Woodside. Larvicide, a pesticide that stops mosquitoes from growing into adults, and adulticides, which kills adult mosquitoes, will be used. The spraying will start at 9 p.m. and will continue until 6 a.m. Wednesday, August 1. These areas were selected by the Health Department since there are a high number of mosquitoes that have been known to transmit West Nile virus in these neighborhoods. 1) Whenever possible, stay indoors during spraying. 2) Remove children’s toys, outdoor equipment and clothes from outdoor areas during spraying. If outdoor equipment and toys are exposed to pesticides, wash them with soap and water before using again. 3) Wash skin and clothing exposed to pesticides with soap and water.